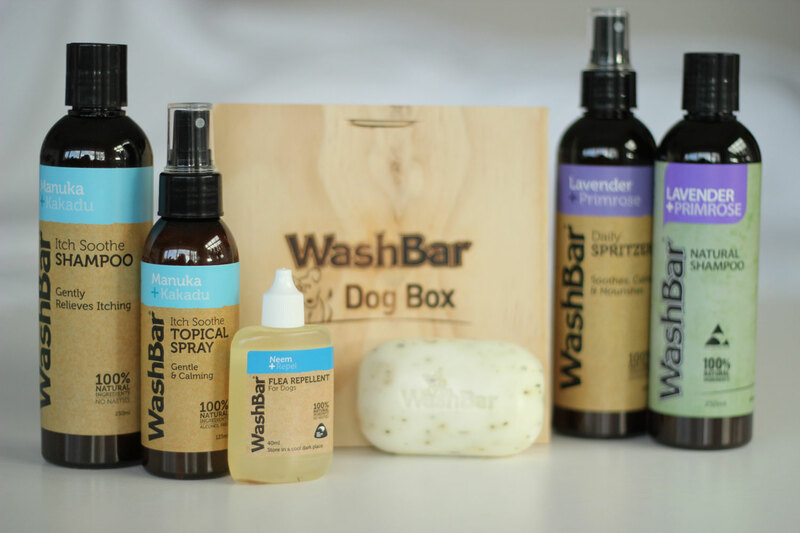 Home Acquisitions	We love | Washbar Natural Skin and Coat Care…….for Dogs! Obviously ‘Natural’ skin, haircare and beauty ranges are hugely popular for men, women and kids and are becoming more and more mainstream and budget friendly. This is awesome for us but the super-cool flow on effect is that there are some savvy, sensitive businesses taking natural products to new markets that also benefit from paraben, sulphate free products made from 100% natural ingredients. 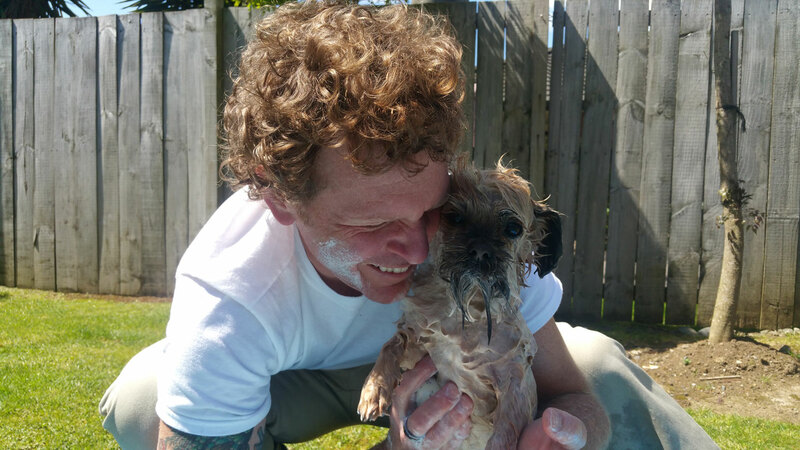 Whangarei based WashBar are doing just that, and doing it really, really well – for dogs! Many of you will have ‘met’ Dash and Louie on the blog before, they are our two Shi-Tzu x Australian Terrier terrors. Their coats are amazing, woolly and non-shedding – perfect for me as I suffer terribly from allergies, plus this helps me avoid vacuuming too frequently lol. The difficulty comes with trying to keep our little guys smelling clean and fresh and keeping Dash’s itchy tendencies at bay. He drives me mental with his scratching. Usually at 2am! Dash and Lou have been using the Washbar range over the past month and they’ve never smelled better, thank god as they couldn’t really smell any worse! If we feed Louie any food that’s too delicious he goes mental and rolls around the yard for hours on who knows what. Cute but smelly. This is definitely Louie & Dash’s jam, the product that kicked off the Washbar range. Originally formulated to target flea dermatitis, this wicked little gem also aids dogs who are suffering from allergies, dermatitis and eczema – which can be so traumatic for both dogs and owners alike. Lou has super thick wool and we have never used any product that has lathered SO easily – dog shampoo’s are generally so stingy, it takes tonnes of product to get any workable lather deep into his coat! 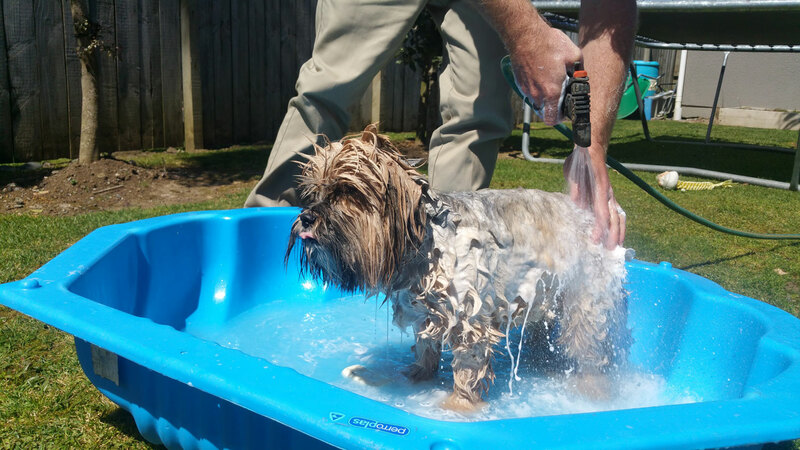 Loved using WashBar, it was so much easier then trying to fiddle around with a bottle while keeping the dogs in the pool, it rinsed beautifully and has left their coats looking shiny and fluffy plus they smell beautiful and are super soft to touch. Bonus petting is always appreciated by the dogs! God I hate fleas. Like, with a passion. Thinking about them makes me itch and watching the dogs itch makes me itch! Traditional flea treatments are very expensive, hit and miss and full of toxic ingredients which I don’t want all over Nixon – who’s pretty much stuck like glue to poor Louie 24-7! We’re just heading in to flea season so I’m excited to be ready to tackle this persistent problem with a natural product. 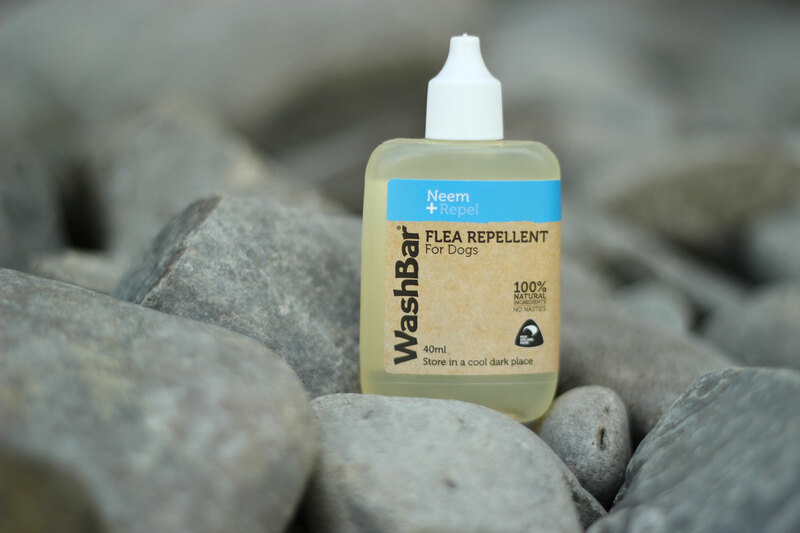 Flea Repellent contains Neem Oil and Essential Oils of Cedarwood, Rosemary, Lemongrass, Peppermint & Thyme; in a Sunflower Oil base. The economy of this product is pretty mind-blowing too, there are 40-50 applications in one 40ml bottle! So with two small dogs sleeping in the house (3 most of the time when my Mum’s wee dog Marley is here!) we need to be able to keep them and their bedding fresh between washing – without resorting to Febreezing the animals! I love the holistic philosophy behind this spritzer, obviously the Lavender Hydrosol smells gorgeous and does a fab job of deodorising the ‘dog-ness’ right out of our house, but lavender oil is well known for it’s calming and anxiety reducing properties. Our dogs hate fireworks season, so this year I’ll be sure to give the pooches and their beds a wee spritz before the festivities begin. 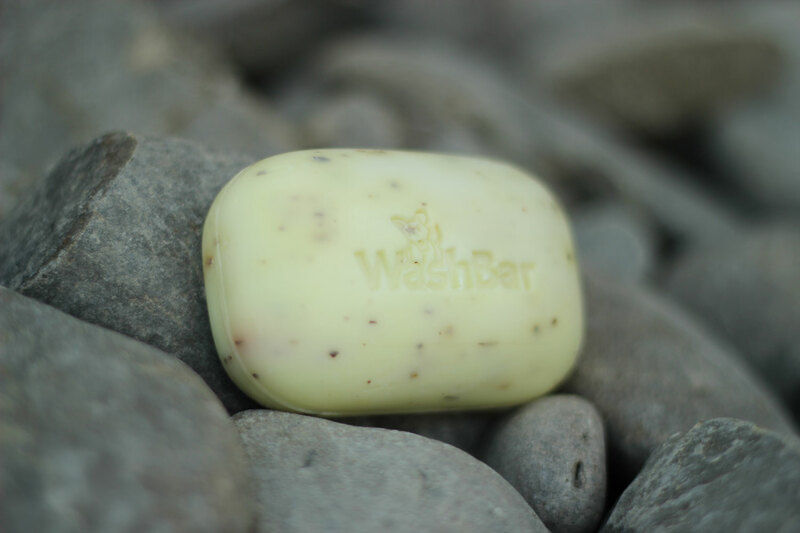 The Itch Soothe Range is the latest offering from WashBar, just in time to combat those summer hotspots or allergic irritations that can occur throughout the year. The Manuka + Kakadu Topical Spray is genius as generally treatment options are systemic or come in the form of a shampoo, which is obviously not convenient to use every time throughout the day when your dog’s having a flare-up! Complementing this is the Itch Soothe Shampoo which can be used twice a week and simply requires a good massage and a 2-3 minute application before rinsing. Both the spray and shampoo contain veritable botanical wish-lists of bio-active heroes boasting Quercetin (a natural antihistamine) and Vitamin C to heal skin. Including olive oil, coconut oil, argan oil, manuka pure essential oil, lavender, extract of kakadu………the list goes on and every inclusion makes perfect sense and is either spray-free or organic. We are converted. 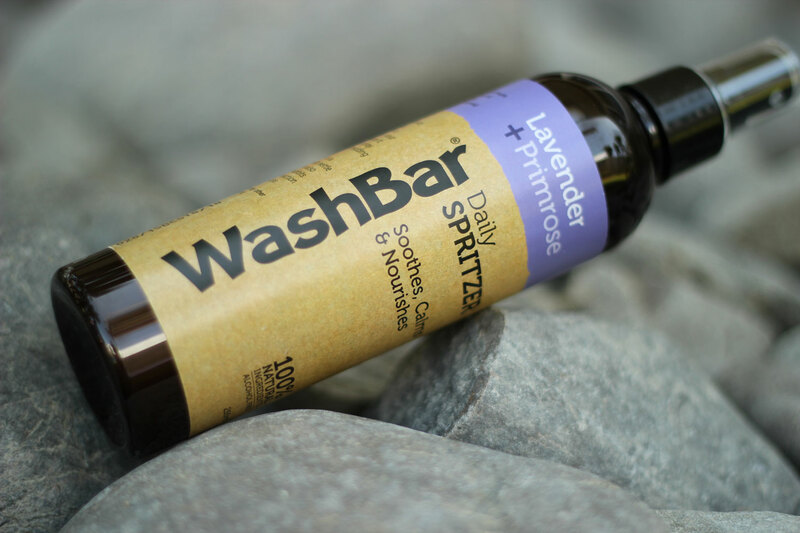 I will never buy Big Pharmaceutical grooming products for the dogs again because it’s simply unnecessary plus, the WashBar is the loveliest, most effective shampoo I’ve ever used on the dogs – and it’s made in New Zealand! You can find the entire WashBar range at any good pet, vet, farm supply or saddlery store, or check out the WashBar website for more information. No baddies allowed – Pineapple Heads All Natural Hair & Bath Care Products for Kids + Giveaway!